Alberta is one of Canada’s Prairie Provinces. It is bordered by British Columbia to the west and Saskatchewan to the east. North of Alberta is the Northwest Territories, and directly south is the U.S. state of Montana. 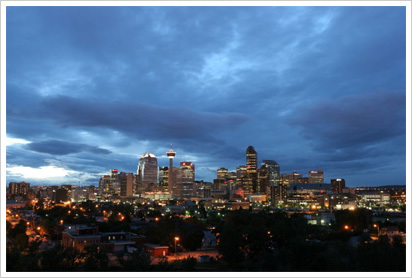 The two major urban centers in Alberta are Edmonton, its capital, and Calgary, its largest city. 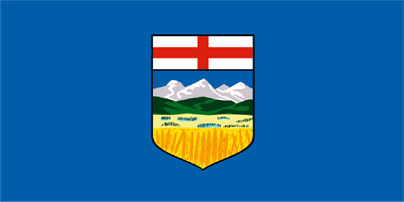 The remaining area of Alberta is made up of rural areas and small towns. Drug addiction is a problem both in Alberta’s urban and rural communities. Chronic poverty, combined with a recent influx of money from the oil trade has created destabilization that has made residents vulnerable to the seemingly easy escape of alcohol and drugs. In addition, Alberta boats a high population of aboriginal communities, who are also vulnerable to substance abuse due to the displacement of their communities and loss of their culture over the past few generations. To help address drug and alcohol abuse problems the Alberta Alcohol and Drug Abuse Commission enacted the Protection of Children Abusing Drugs Act July of 2006. This Act allows youths to seek help for drug and alcohol addiction problems without the risk of running into legal trouble. A 2007 study has shown that over 600 families have benefitted from the Protection of Children Abusing Drugs Act, with more youths seeking help for addiction problems and receiving treatment. Almost half of those who sought treatment for drug or alcohol addiction continued voluntary recovery treatment after being discharged from a five-day residential addiction treatment program. For adults requiring more intensive treatment for their drug and alcohol addiction problems, Sobriety Home, located a short drive from Ottawa, provides state-of-the-art residential care for addictions to drugs and alcohol. Importantly, the Aftercare program ensures that out-of-town residents continue to receive the support and guidance they needed to stay sober after returning home. Probably most famous for hosting the Calgary Stampede every summer, Calgary is the largest city in Alberta, with a population of just over 1 million. It is also considered the doorway to the Canadian Rockies, since it is located only about 80 miles east of its foothills. The Calgary Citizen’s Police Academy provides residents of Calgary the opportunity to get a glimpse of the lives of Calgary police officers. An important goal of the Academy is to garner residents’ help in controlling drug problems in the city. Some of the drugs sold most frequently on Calgary streets include marijuana, cocaine, methamphetamine, and ecstasy (MDMA). At the Academy, citizens learn about how the drug trade is connected to homicide and other crimes and how drug addiction can destroy lives and families. 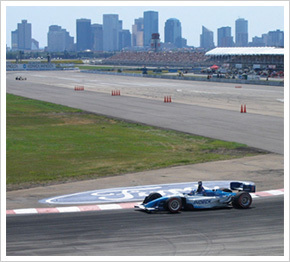 The capital of Alberta, Edmonton is home to about 750,000 people. With just over a million occupying the Edmonton Metropolitan area, Edmonton is the northernmost urban center with a population over one million. An estimated 4,000 Edmonton residents inject illegal drugs. Other problem drugs in the area are cocaine and methamphetamine. To help address drug problems here, Edmonton enacted its own Drug Treatment and Community Restoration Court in 2005. This provides drug addicts in Edmonton the opportunity to complete a drug treatment program instead of facing legal troubles associated with their addiction. To get into the program, addicts must plead guilty to whatever drug-related legal charges landed them in trouble in the first place. They must also have no history of violent crime. They are then given probation and can live at home, but they must return to the court for weekly drug addiction treatment sessions. They must also pass random drug tests. An important aspect of Edmonton’s drug treatment court is its individualized approach. Each participant undergoes a treatment program based on his or her needs. Sobriety Home, a residential drug and alcohol treatment facility located near Ottawa, takes a similar approach. A recovery program is designed for each client, taking from a myriad of available therapeutic techniques, including psychotherapy, nutrition, exercise, and even spa treatments.